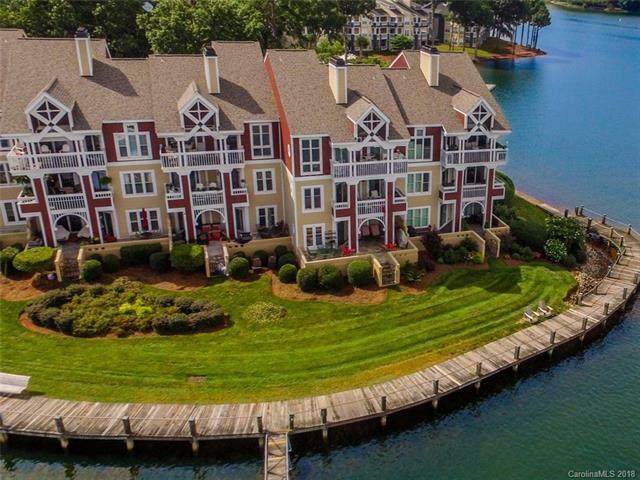 Absolutely breathtaking Lake Norman COMPLETELY REMODELED waterfront condo with views for miles! This gorgeous penthouse unit in desirable Stonebluff complex features 3 bedrooms, 2 baths and has been updated to include ALL NEW CUSTOM CABINETS, GRANITE CTOPS, ALL NEW STAINLESS APPLIANCES, new door hardward thruout, gray driftwood laminate wood flooring, fresh paint thru out in Agreeable Gray (NO POPCORN CEILINGS), new light fixtures, master bath shower completely renovated to walk in shower with white subway tile and new carpet in the bedrooms. HURRY BECAUSE THIS UNIT WILL NOT LAST!! Offered by Titan Realty, Inc.. Copyright 2019 Carolina Multiple Listing Services. All rights reserved.